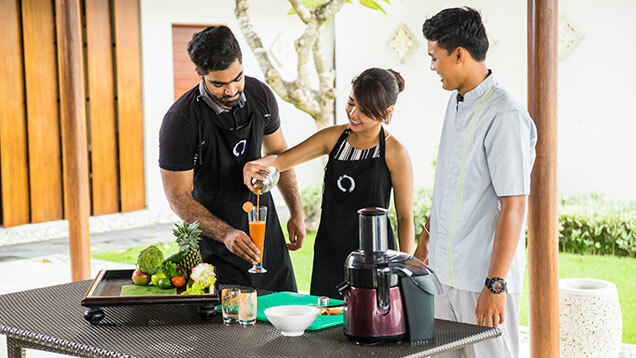 The Samata Sanur is unique in Bali for its focus on health and fitness but if you need to take a day off from the gym and spa, we can organise a personalised tour of Bali for you to see the wonders of our island home. 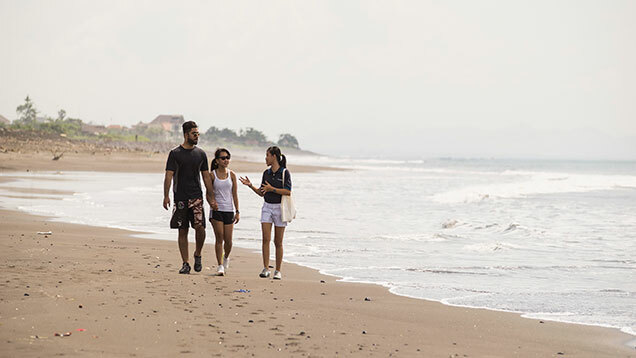 We also offer a stunning Sunrise Walk along our local beach, exotic Balinese cooking classes (including kids' classes) and romantic Starlight Dining overlooking the surounding rice fields. 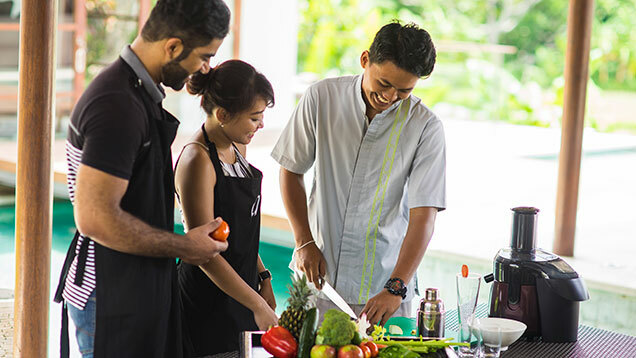 Discover the aromatic flavours of Bali’s cuisine and learn the secrets of our culinary heritage from our experienced Chef during a hands-on lesson. Then take away the recipes to re-create at home – a lasting reminder of your blissful holiday. 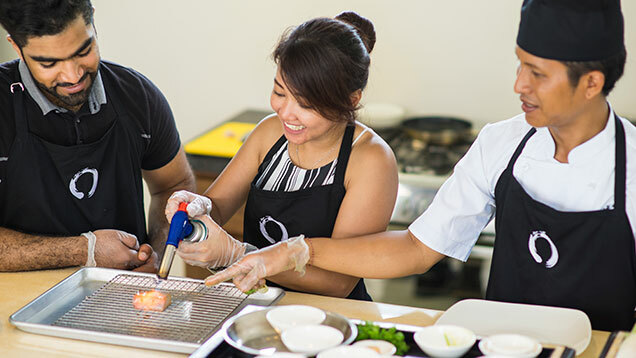 Included are all ingredients, service and tasting of prepared dishes, an apron, recipes and a certificate. No other exclusive, luxury resort on Bali has the health and fitness facilities found at The Samata Sanur. We offer a wide variety of exercise options and equipment. 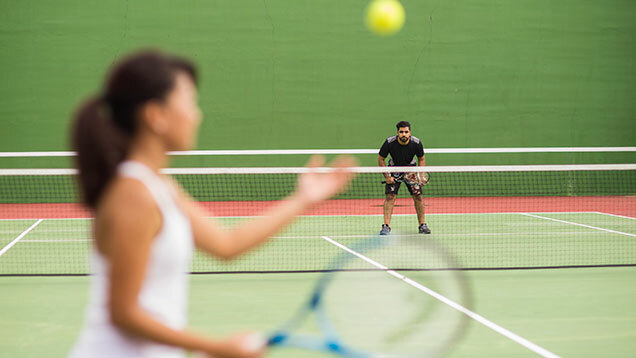 You can start light with low- or medium-intensity exercise in our fully equipped gym, on our tennis court or in one of our 3 pools (Chill, Lap and Energy). 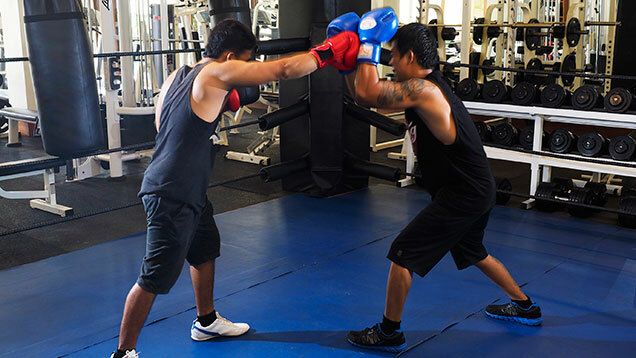 Or go all out with a high-intensity workout, including a session in our very own boxing ring. The resort will be regularly inviting sports and fitness professionals to share their knowledge and experience. 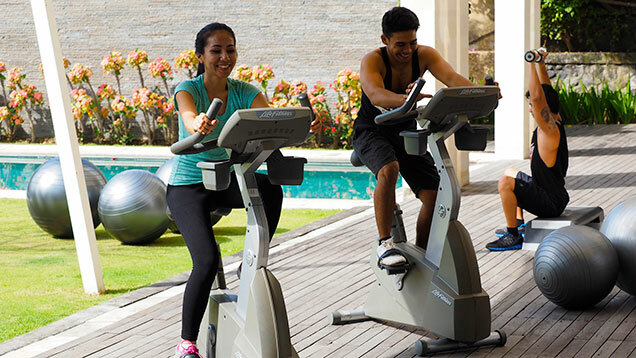 We can also organise fitness activities outside the resort including, water sports at Sanur, kite surfing and more. 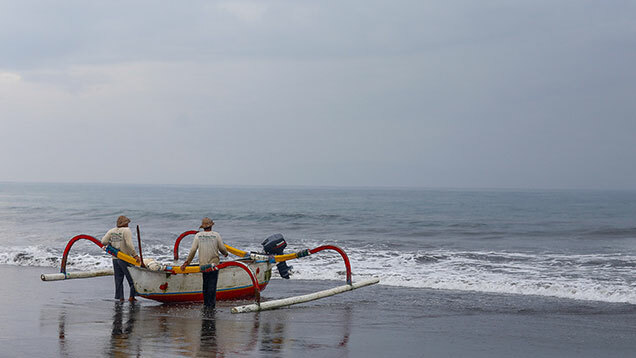 Rise early for an authentic Balinese experience with a charming guided Sunrise Walk to our local black-sand beach. Watch the sunrise over the sweeping panorama of the Indian Ocean and witness the morning life of the local people and learn about their unique culture and spirituality. An experience like nowhere else on Earth. 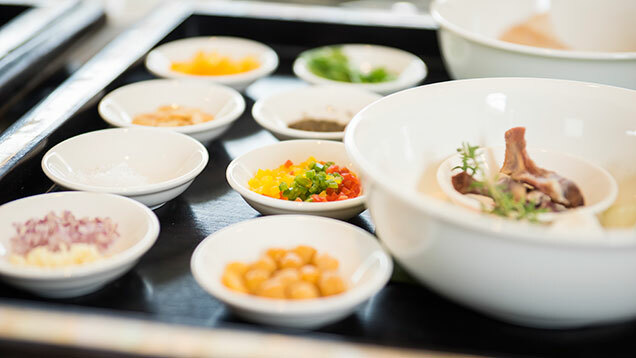 If you would like to maintain your focus on healthy dining, then book in for one of our Healhy Cooking Classes where we can share the secrets of our kitchen menu, including simple ways to make totally healthy energy-booster drinks. Indulge in a one-of-a-kind gourmet journey under the stars in complete privacy and comfort. 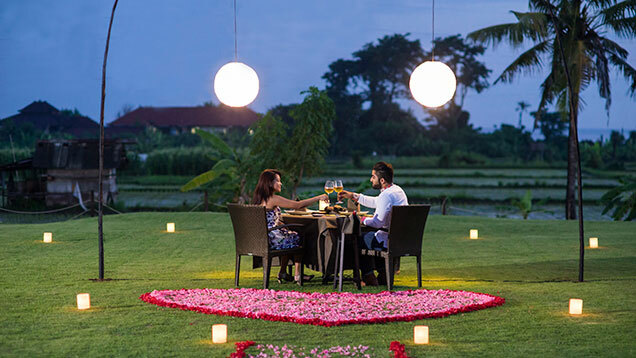 Treat your loved one to a romantic Starlight Dinner, dining together by candlelight under the tropical stars and overlooking the lush rice fields with a 3-course bespoke seasonal tasting menu.